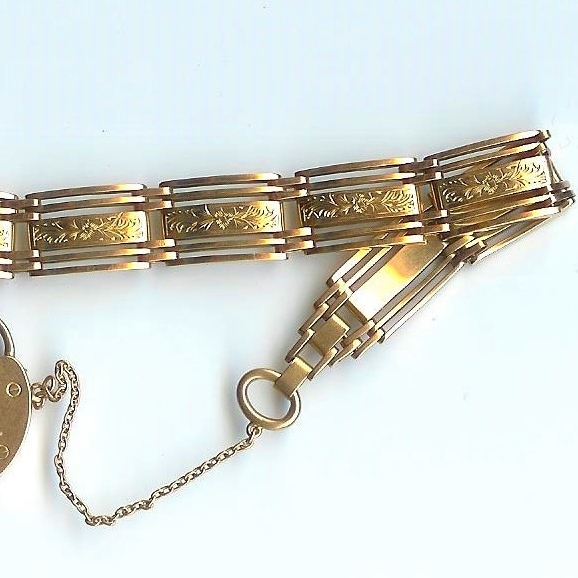 Pretty 5-Bar Engraved Gate Bracelet [SH6399] - £550.00 : loveVintageDiamonds.com, Your Vintage Diamond Dreams Come True! 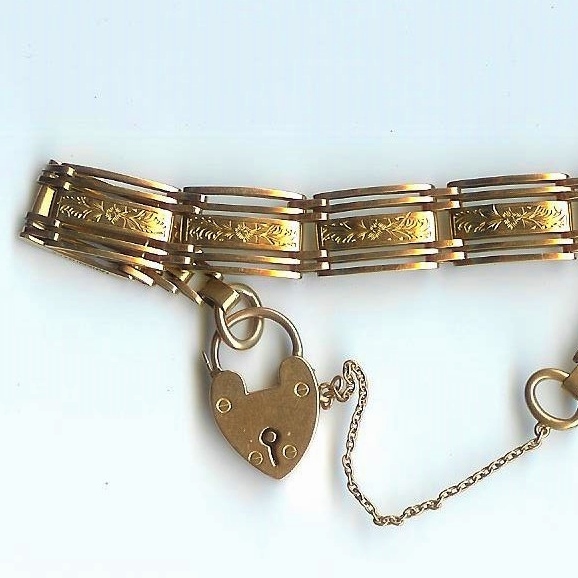 This antique gate bracelet is particularly charming with its 5-bar design, the centre bar being wider than the others and adorned with a really pretty hand-engraved floral design. 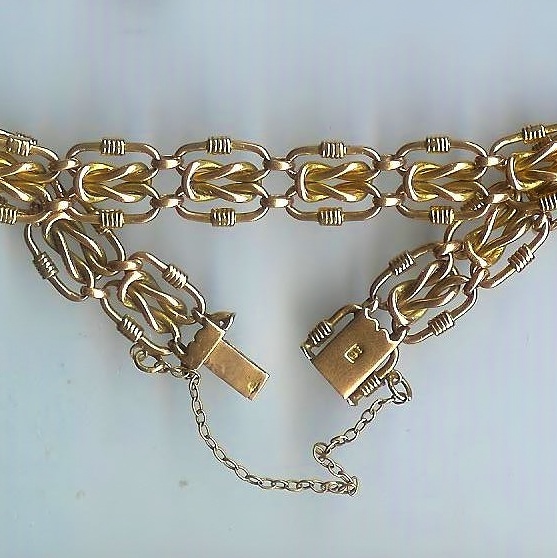 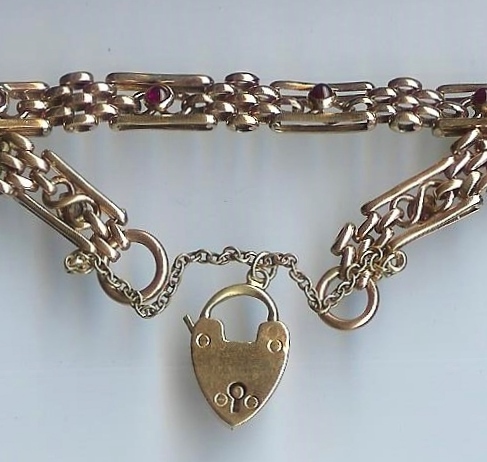 The bracelet measures approximately 7&3/4" in length, has a padlock fastener, and a safety chain for extra security.